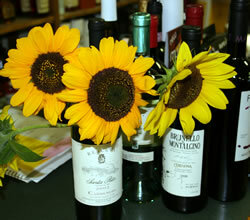 What's New at Sparrow's Fine Wines? New items arrive in stock at Sparrow's regularly. We have several new roses perfect for these summer days, and a number of new products from Spain. Stop by to see what's new. David always offers special pricing on wines that he's acquired on favorable terms. Look for red price tags indicating especially good values.